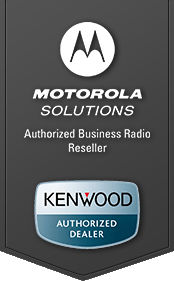 Ideal for use in a variety of heavy duty, industrial applications, the Motorola RDX radio is perfect for sending messages with just the push of a button. This radio offers 5 watts of power to cover up to 300,000 sq. ft. or 18 floors indoors, 10 channels, 27 VHF business exclusive frequencies, 122 privacy codes, Advance Voice Activation for hands-free use, and Customer Programming Software to allow users to perform programming functions via PC. Definitely a radio that packs a punch. Once you have your radio, you can use it to maximize productivity, enhance security, or keep your operations on schedule. It’s up to you. Order yours today at TechWholesale.com and save.